This is the second part of an article that deals with war crimes, genocide and how seemingly normal human beings can become complicit in such crimes. To understands this we must look at some of the intellectual and ideological foundations. Adam Tooze sees the Holocaust as the first step of the “last great land grab in the long and bloody history of European colonialism…” 7 This does have merit, Hitler’s desire for Lebensraum or living space was a type of colonialism. However, Tooze’s argument does not take away from the basic premise that Germany’s war in the east was at its heart motivated by ideological factors. The root of this war was in the mind of Adolf Hitler himself. Hitler was born in Linz Austria during a time when various Pan-German and Ant-Semitic groups, publications and propaganda were widespread. 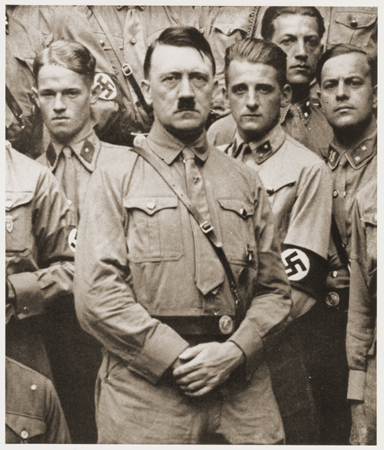 As a young man Hitler moved to Vienna hoping to become an artist, something that he found little commercial success. While struggling to make a living in Vienna he was exposed to a culture far different from the provincial city of his youth, a city that had much culture but was also a meeting ground for the various peoples that populated the Austro- Hungarian Empire, including Slavs and many Jews. While many of the Germanic or Austrian Jews were outwardly little different from their Christian neighbors the Jews from Eastern Europe repulsed Hitler. 5 Note the actions of Cardinal Richelieu in France who worked to expand French power at the expense of other Catholic nations and the Vatican itself. David Barton made the same arguments recently about the American Indians. Barton said: “You have to deal, a lot of it, with how the enemy responds. It’s got to be based on what the enemy responds [to,] you cannot reason with certain types of terrorists; and see that’s why we could not get the Indians to the table to negotiate with us on treaties until after we had thoroughly whipped so many tribes …” “People complain about the fact that the American military and buffalo hunters went out and wiped out all the buffalo in the western plains. Doing that was what brought the Indians to their knees because the Indians lived on those wide western plains where there were very few towns; Indians didn’t go into town to buy supplies, they went to the buffalo herds, that’s where they got their meat, that’s where they got their coats, the hides provided coats, they provided covering for their teepees. 14 Bracher, Karl Dietrich. 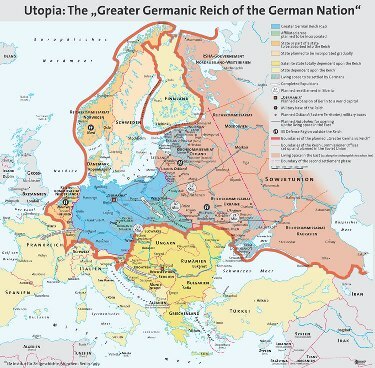 The German Dictatorship: The Origins, Structure, and Effects of National Socialism. 18 Ibid. Friedlander, The Years of Extermination p.xvii Friedlander called this anti-Semitism “Redemptive anti- Semitism” in which “Hitler perceived his mission as a kind of crusade to redeem the world by eliminating the Jews. 20 Hitler, Adolf Mein Kampf translated by Ralph Manheim. Mariner Books, Houghton Mifflin Company, New York, NY 1999. Houghton Mifflin Company 1943, copyright renewed 1971. Originally published in Germany by Verlag Frz. Eher Nachf. GmbH 1925. p.662.